Contrary to popular opinion, not everyone loves a winner. In fact, most sports fans hate winners. Winners stir up envy and disdain. Teams that consistently find themselves on top are traditionally the ones this country hates the most – i.e. the New England Patriots, San Antonio Spurs, Notre Dame, New York Yankees, Alabama, the Detroit Red Wings. In reality this country loves losers. Lovable losers are the new winners. These are the teams that garner sympathy from the masses. People feel bad for their tortured fan bases and pull for them to win (but not too much). Is this where the Colorado Rockies find themselves? The new lovable losers? 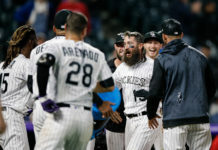 Diehard Rockies fans will scoff at the notion but that’s because their view of the Rockies is jaded by years and years and years of frustration. But, in reality what’s not to love about the losers at 20th and Blake? To bestow the Rockies with the “lovable loser” designation they must meet very certain qualifications. 1) They need a long history of losing. We can make this quick. Colorado has only made the playoffs three times in 23 years, they’ve never won their division, 16 losing seasons on and on and on. It’s not a 100-year history of losing, but it’s still long and distinguished. The Chicago Cubs have the Steve Bartman incident, the San Jose Sharks have Joe Thornton and Patrick Marleau’s past playoff performances, the 1990s Buffalo Bills had their back-to-back-to-back-to-back Super Bowl losses and the Rockies have their train wreck World Series against the Red Sox. The entire population of Colorado couldn’t have imagined the Rockies losing the 2007 World Series. Heck, most of baseball thought they were destined to win the title that year. That was until the mighty Red Sox crashed the party and ended Rocktober with dizzying efficiency. Heartbreaker. This was not the case in recent years and that was because of the leadership in Colorado’s clubhouse. Todd Helton, while held on a pedestal in this town, possesses a salty demeanor matched by few. Troy Tulowitzki may be the least approachable superstar in the sport. Over the last two years there’s been a paradigm shift in the Rockies clubhouse. The old, stiff, crotchety attitude is gone. It’s been replaced by a fun-loving group of young players that truly look like they enjoy playing the game everyday. It’s an attitude shift that isn’t going unnoticed. Jonathan Herrera, nice guy, not worth cheering for. Same story with the Chris Iannettas and Ian Stewarts of the world. Those young players didn’t have the upside that this young group does. Trevor Story has been remarkable as a rookie and looks like he is going to fill the shoes of a superstar for years to come. Nolan Arenado is only 25 years old and may be the best third baseman in baseball. And DJ LeMahieu and Charlie Blackmon are legitimate big leaguers, not just filler pieces. Add Jon Gray into that mix and you have a young core whose ceiling is limitless. These are guys that can sell jerseys outside of the Rocky Mountains. 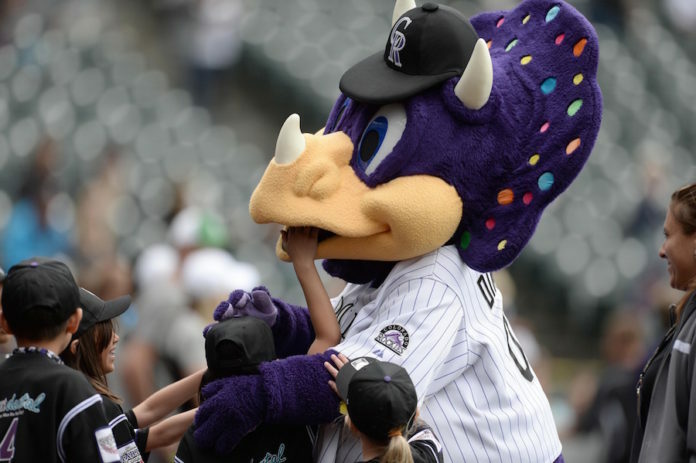 The Colorado Rockies have all the trimmings of a lovable loser. They haven’t experienced much success and the success they have experience that has ended in a disaster. Their young core is probably the best group this franchise has ever had and they’re nice guys. They are also incredibly fun to watch (unless you’re an actual fan, then it’s gut-wrenching). They can build up seven run leads as quickly as they can lose them. There’s never a dull moment when the boys at 20th and Blake are playing. Consistently winning is annoying. Winners get all of the primetime coverage on the Mothership. Their fans draw the ire of everyone for the never-ending state of smugness. Winners bring out bandwagoners; the lowest of the low in the sports world. No one wants that. Winners are for the birds; this country loves a loser. America, I give you the 2016 Colorado Rockies.